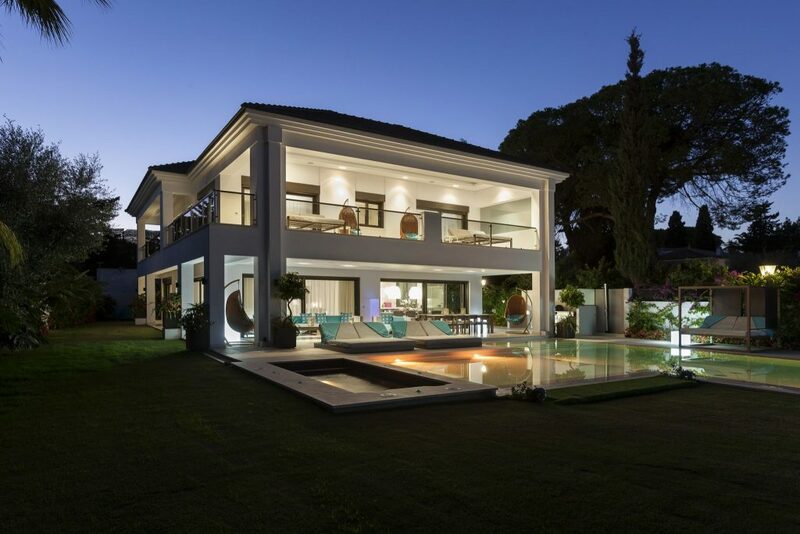 Villa Goya is an extraordinary contemporary villa located within the grounds of Marbella’s premier hotel: The Marbella Club. 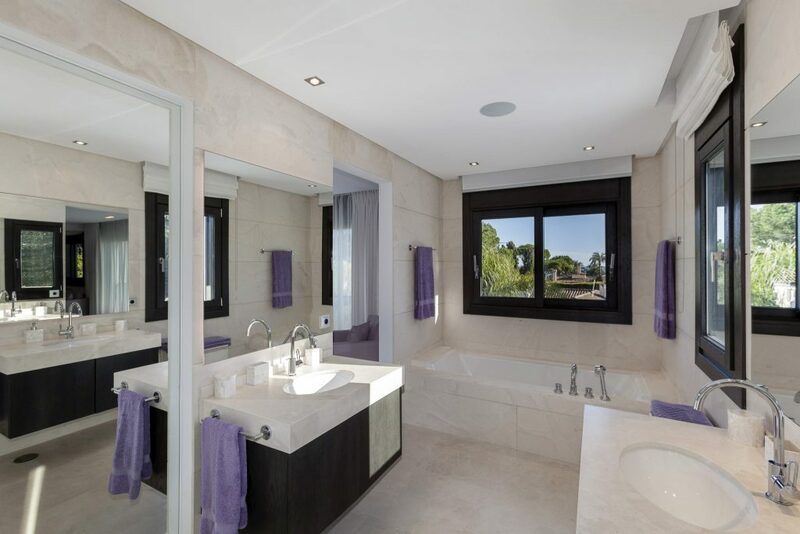 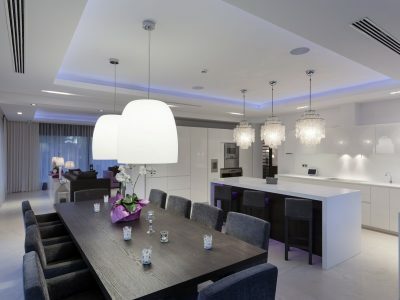 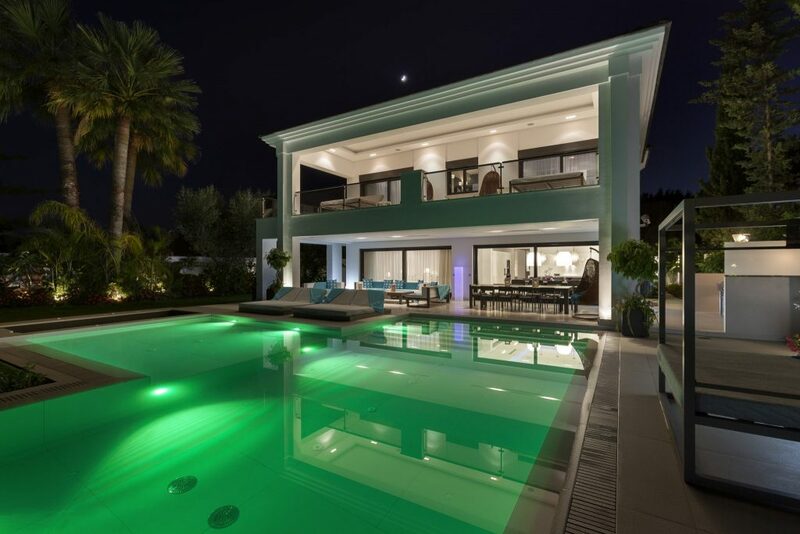 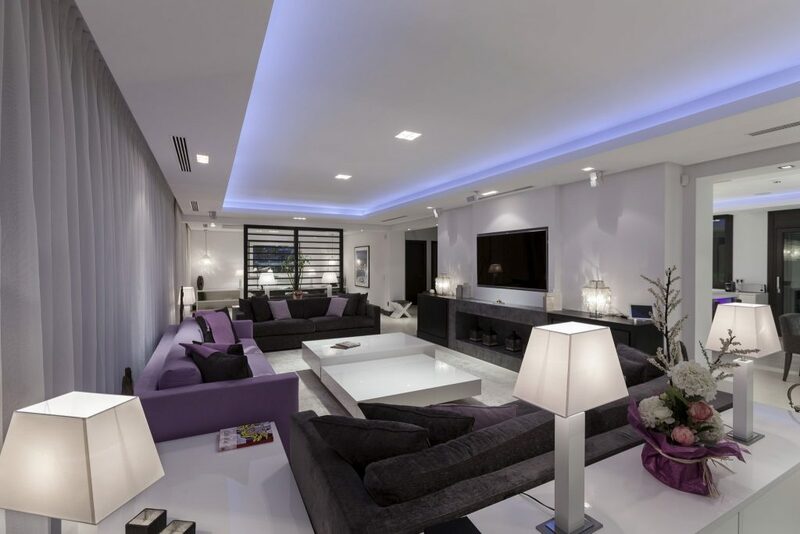 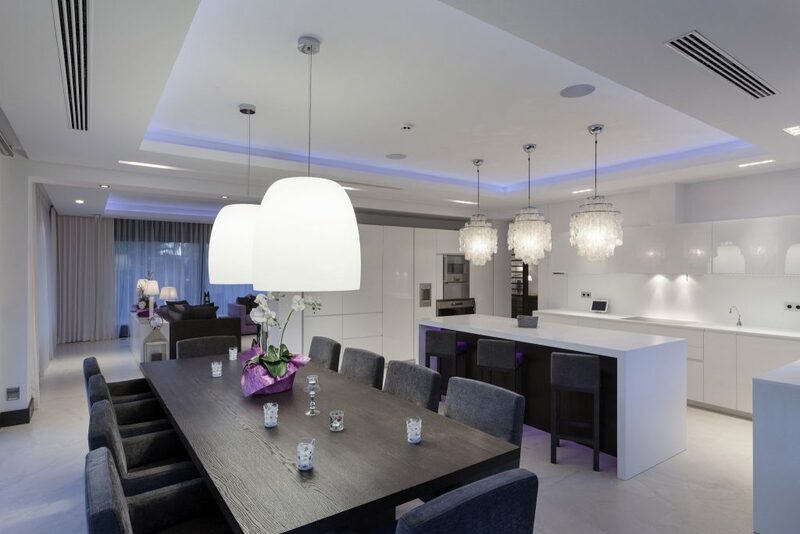 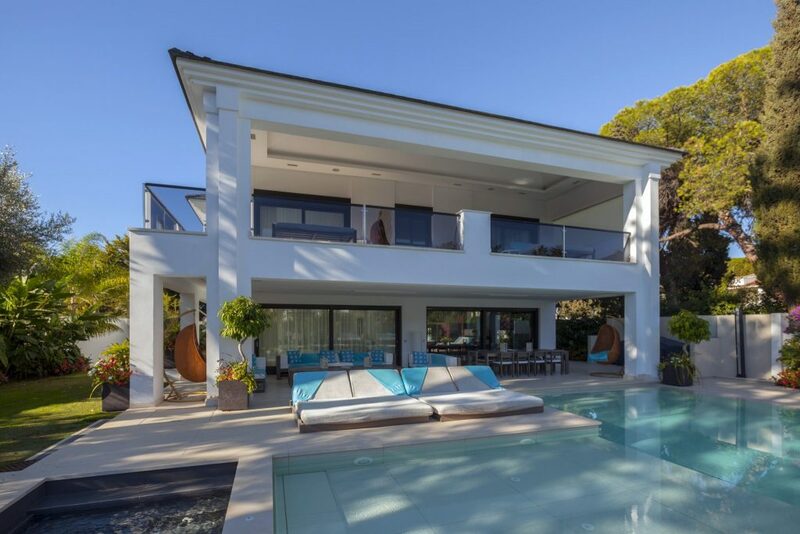 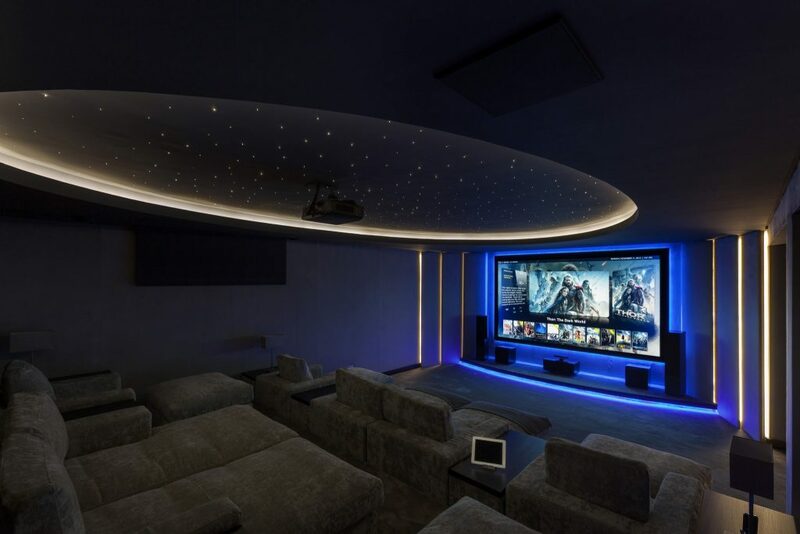 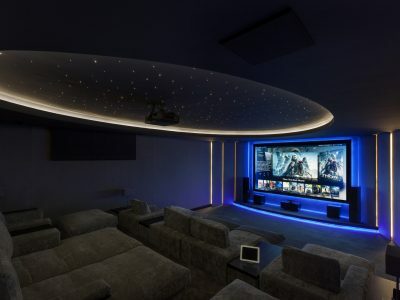 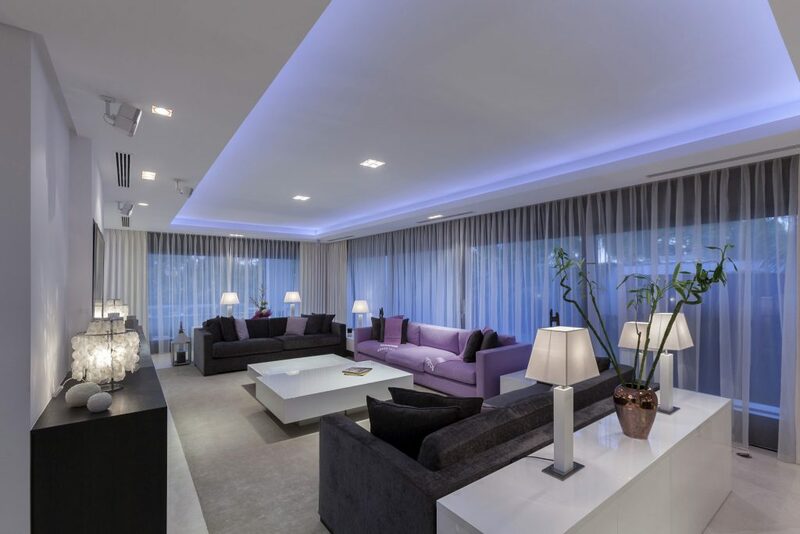 Completed in 2013, this new villa contains the latest technology and highest standards currently available. 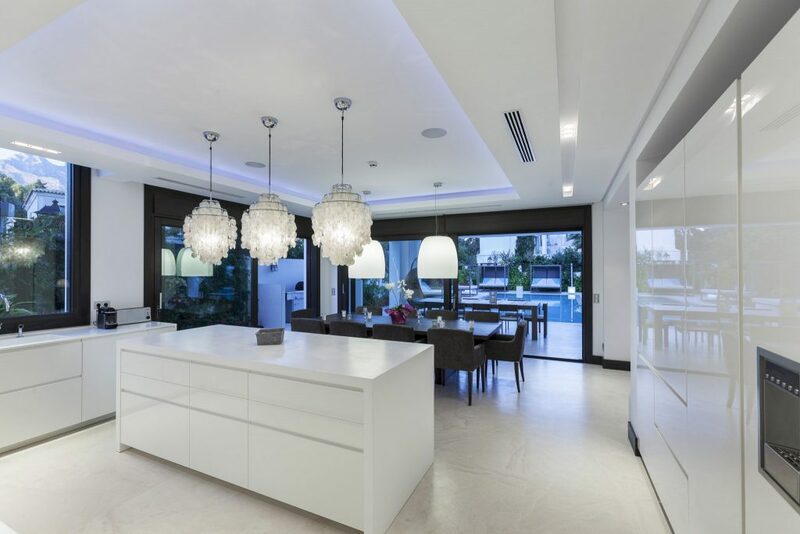 Situated just 100 metres from the beach, the villa is a few minutes’ drive from both Marbella and Puerto Banus. 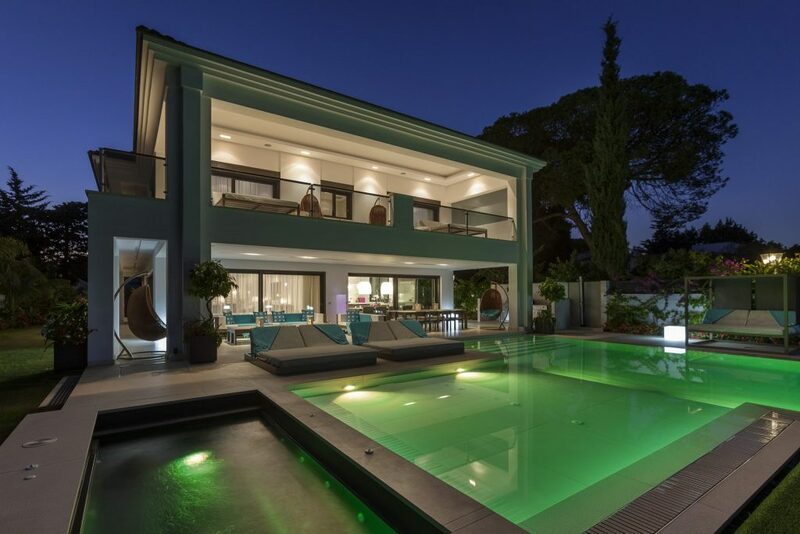 The villa is comprised of four levels. 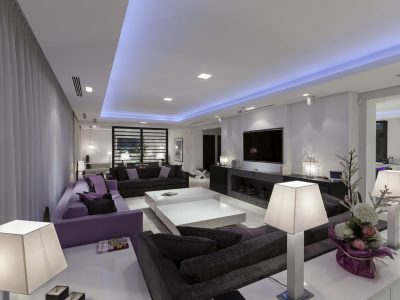 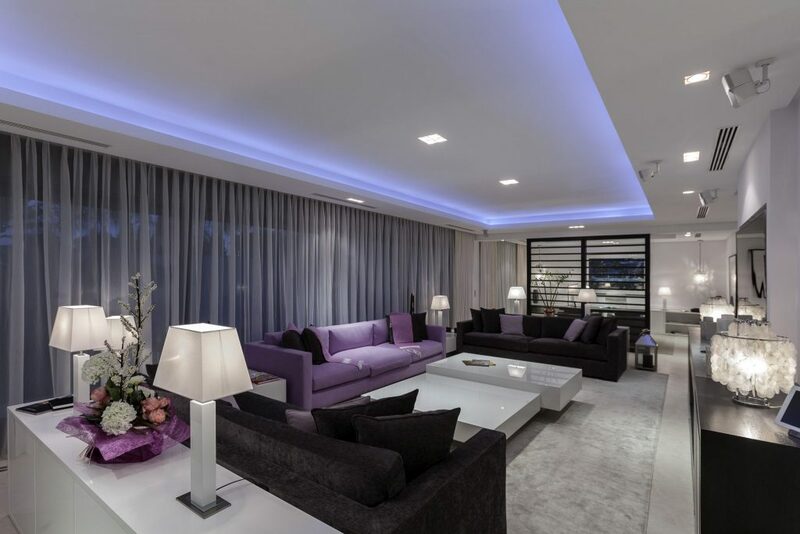 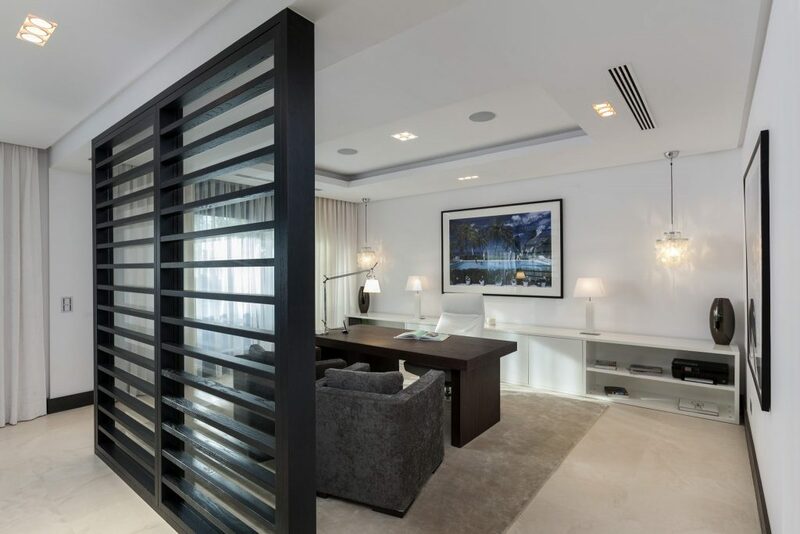 At the level of the main entrance, is the splendid living room, the office, and the fully equipped modern designer kitchen opening onto the dining room. 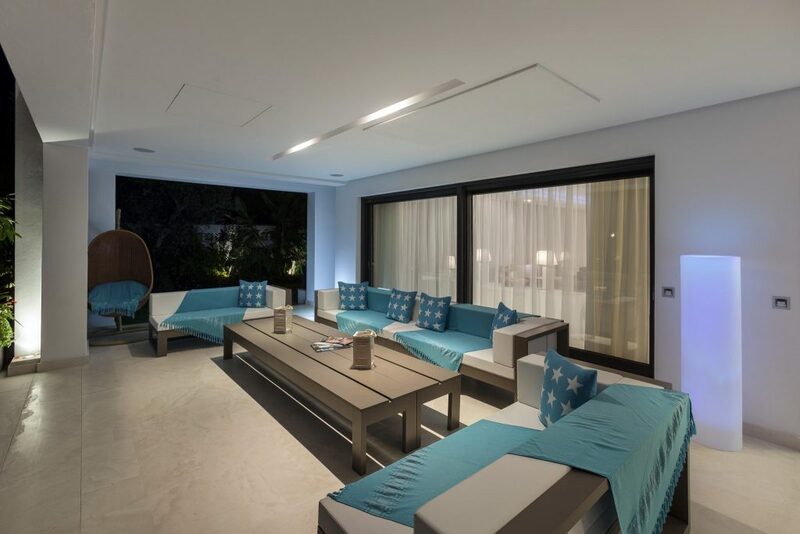 Each of these rooms in turn opens onto a magnificent terrace overlooking the contemporary pool area. 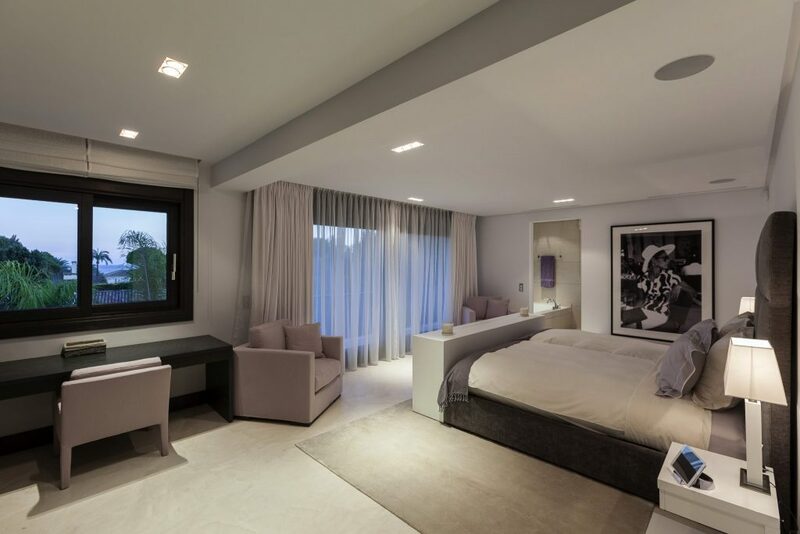 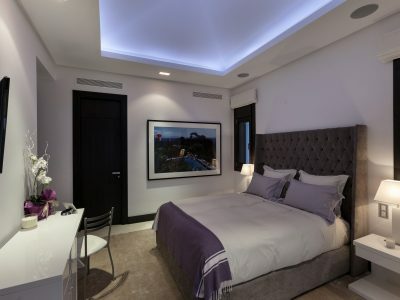 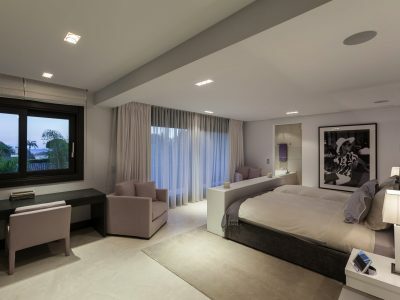 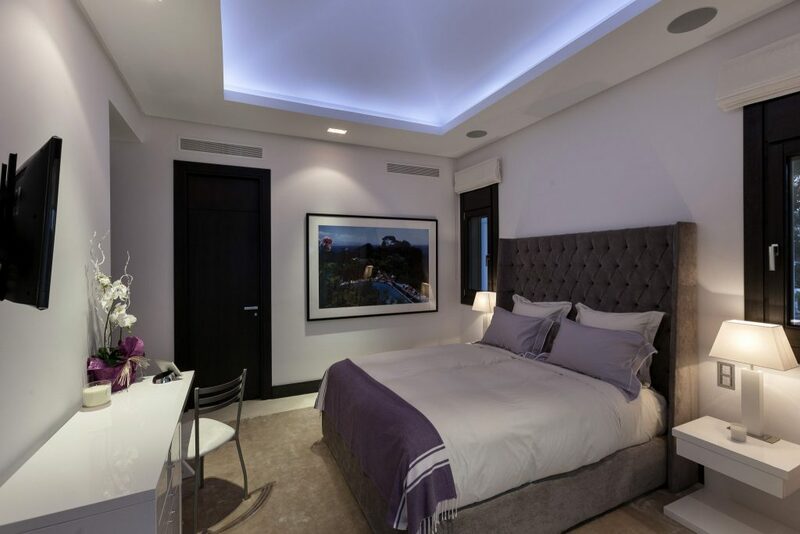 The first floor of the villa is composed of the magnificent master bedroom, as well as two additional bedrooms. 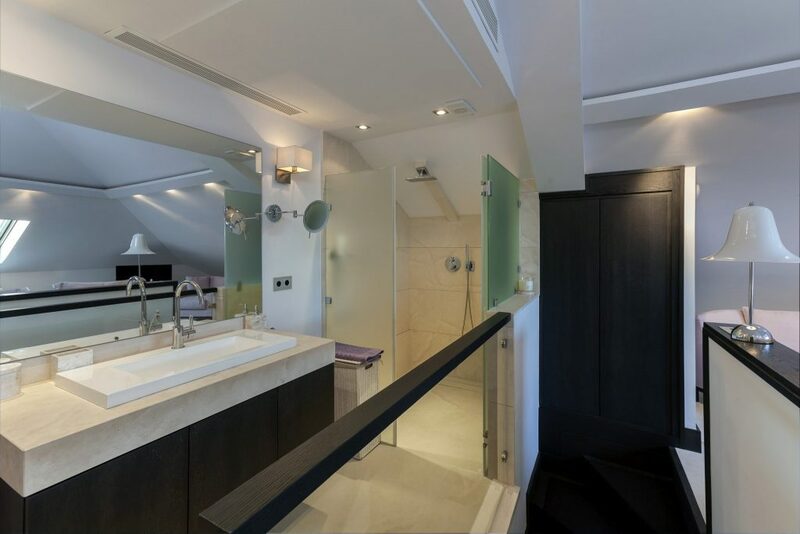 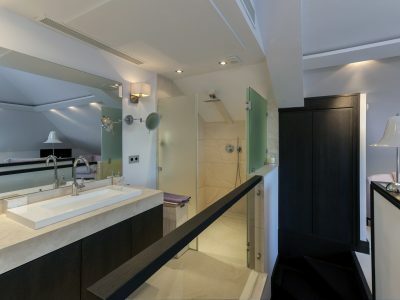 Each bedroom has its own private en-suite facilities. 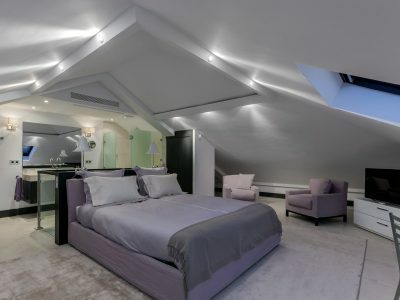 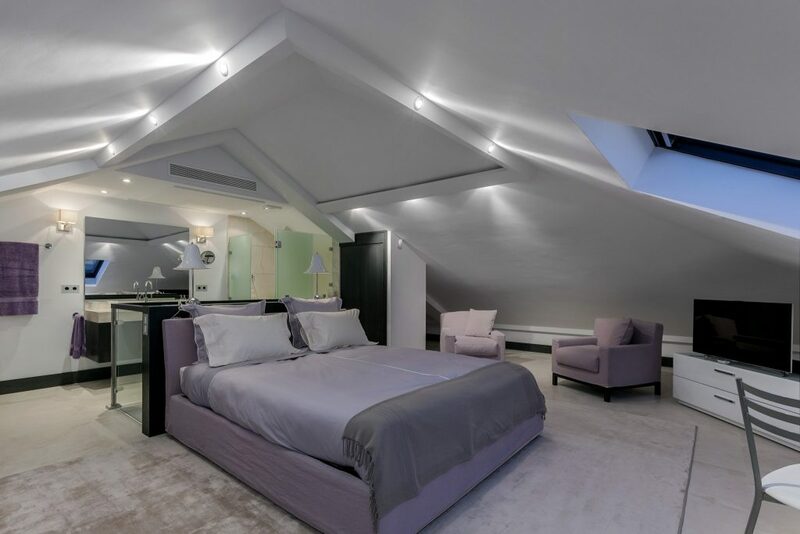 The top floor houses an independent en- suite bedroom. 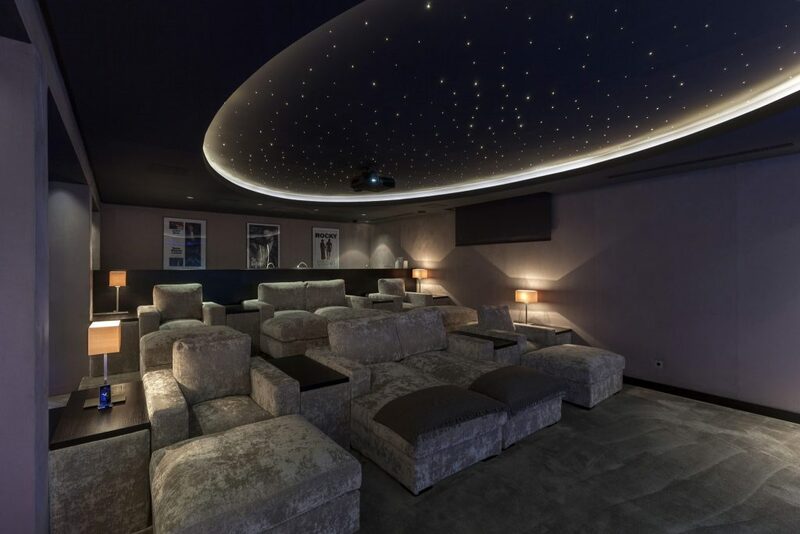 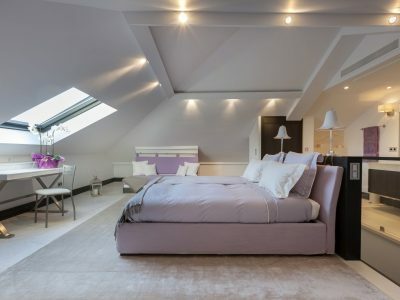 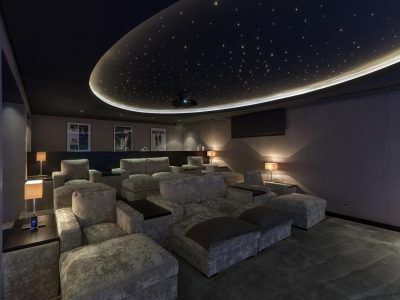 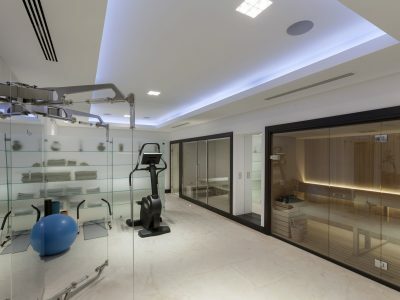 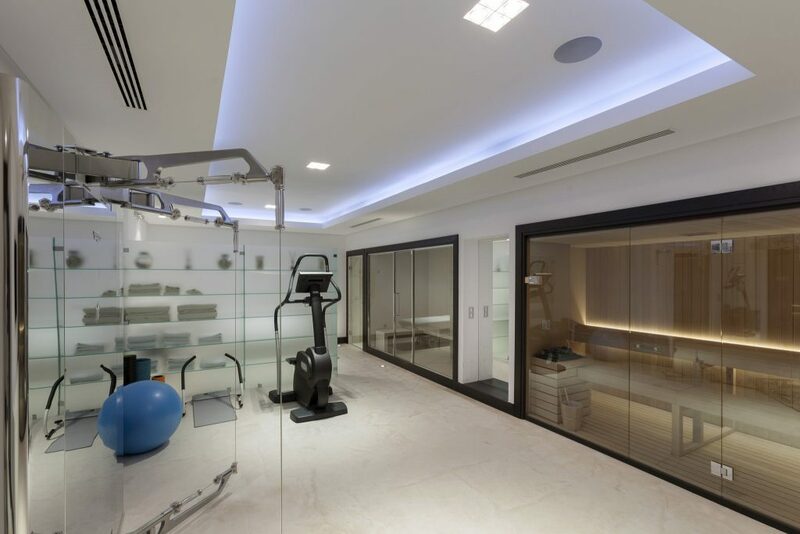 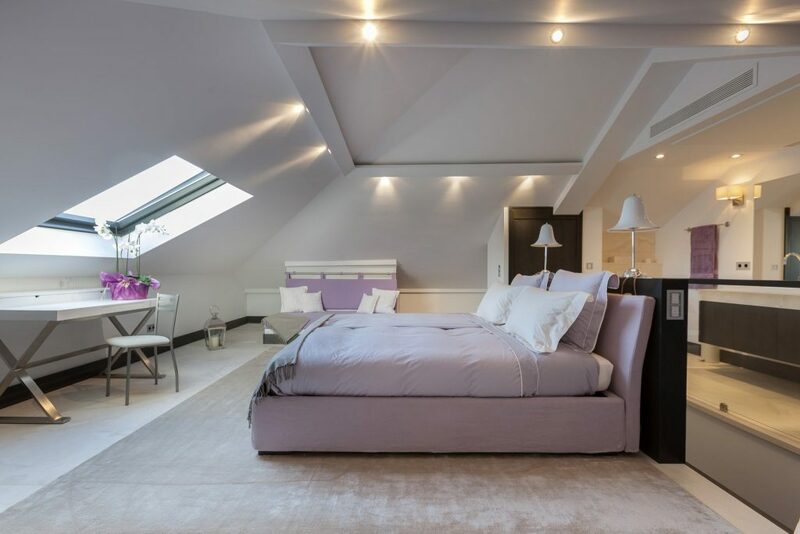 A gym, home cinema, small staff apartment (with additional bedroom), laundry room and a cellar constitute the basement of this elegant property. 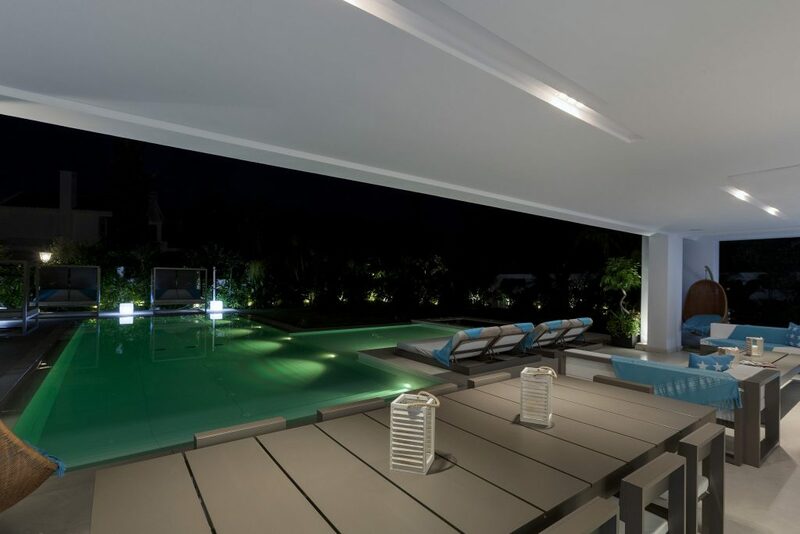 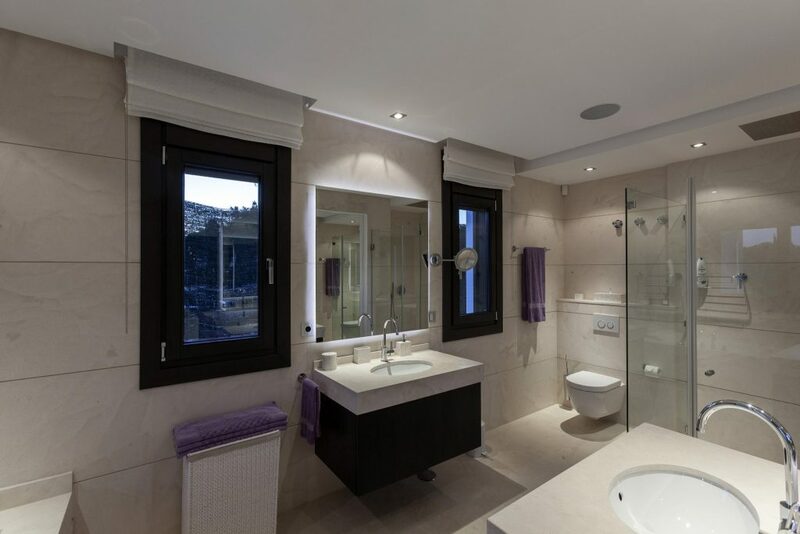 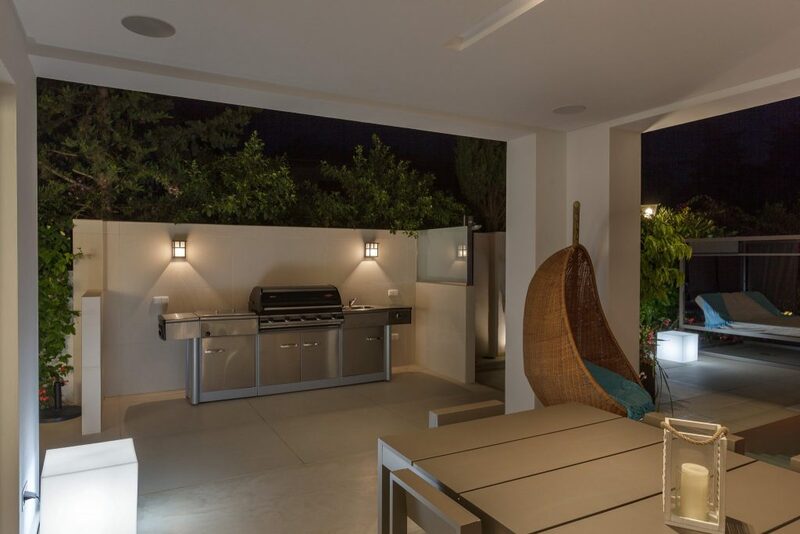 Villa Goya distinguishes itself by its wonderful finishing, its quality materials and is entirely automated. 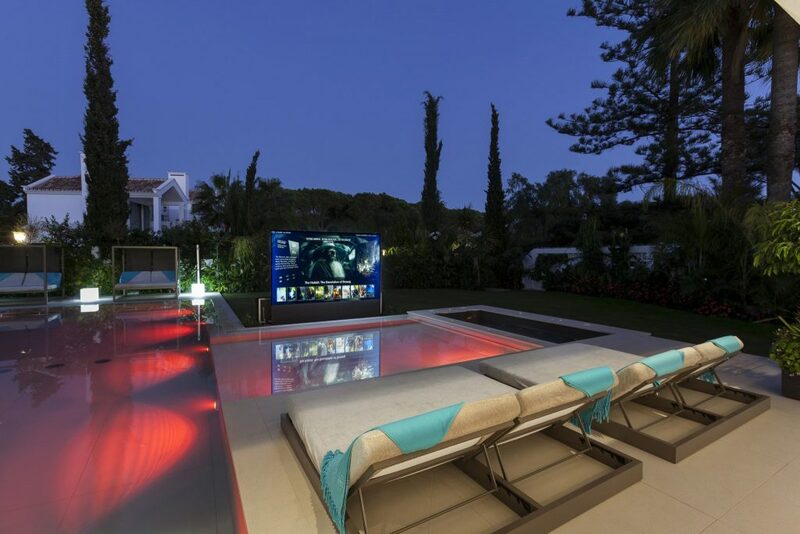 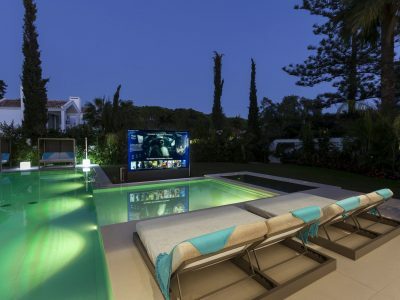 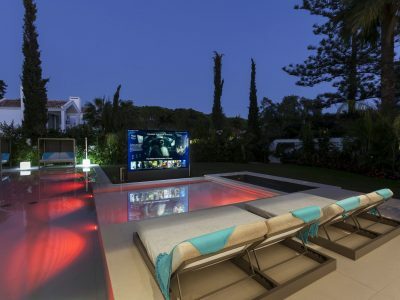 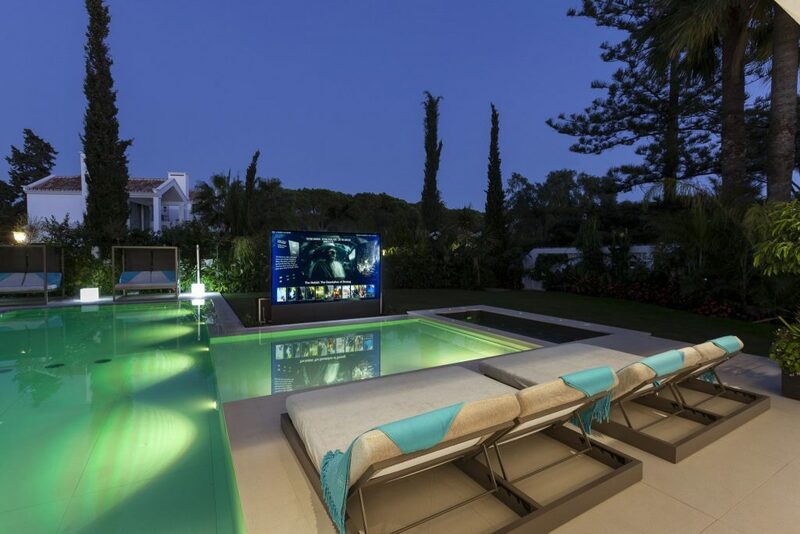 The garden contains a large swimming pool, a Jacuzzi, a children’s pool and an outdoor cinema. 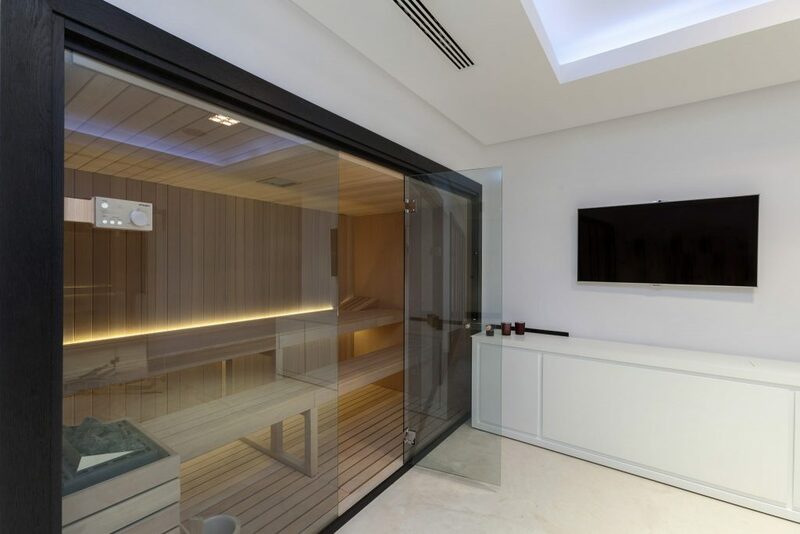 All surrounded by a series of majestic sunbeds. 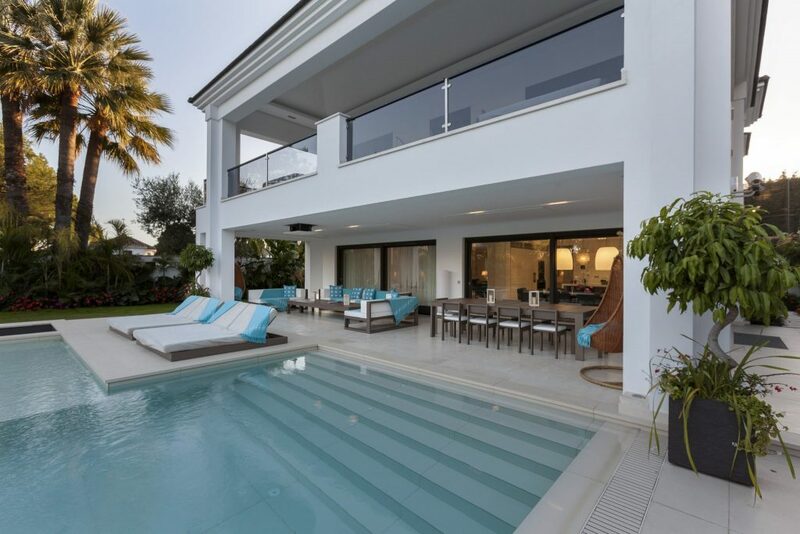 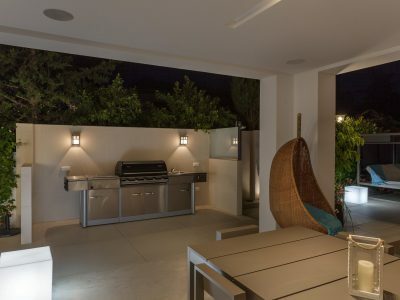 Villa Goya is a magnificent modern villa in the most desirable of locations.